I wrote the above as part of a small book of thoughts about parental alienation which I write as part of my observation of what is happening in the world around me. Parental alienation is such a powerful phenomenon, which affects not just the families involved and those they interact with, but the practitioners and professionals who become involved in working with them. As my interest is always to untangle the threads which have become knotted and twisted as the family attempts to deal with the issues, I am constantly confronted by the psychological defences which are at play in parental alienation. From my perspective, this is why this work should only be done by those who are trained in the helping therapies. To attempt to do this work without a deep immersion not only in the theoretical modalities which govern this work but the lifelong commitment to the understanding of the self, becoming trapped within the myriad threads of defences within the family is too great a risk. I trained as a humanist psychotherapist back in the nineties and built upon my work and understanding along the past twenty years through continuous practice in a supervised setting. My own personal therapy, which continues to this day, enables me to remain psychologically separate from the families I work with. As I am now shifting from coal face practice to complete my doctoral thesis, I am also moving towards training others to do what we do. All the while I do this I am aware that throughout the whole process of this work, we are all, always, still children. The psychological defences which come into play in parental alienation are very clearly described by Gardner in his curation of the eight signs of alienation. Whilst there appears to be a campaign to denigrate Gardner for having listed these signs, they remain the cluster of symptoms in the child which alerts us to the fact that an alienation reaction is present. If those signs were not present, how would we know that a child is alienated? The short answer is, we wouldn’t. Show me a child who is alienated who doesn’t exhibit those signs of splitting, self righteous cruelty, use of weak reasons for rejecting a parent and the rest and I might consider that Gardner’s work is pointless. But the truth is that all children who are unjustifiably rejecting a parent show that cluster of symptoms and therefore it is unnecessary to ditch, denigrate or dismiss them. One of the big psychological pairings of defences is projection and transference, both of which are extremely powerful and incredibly emotionally and psychologically entangling if one is not able to recognise them. When projection and transference come into play, the descent into playground punch ups can be really sudden, leaving everyone concerned wondering where the eruption came from. Because of the risk of projection and transference issues, anyone working in reunification of children and families must be skilled in both the psychological therapies as well as protected by their own supervision and therapy. Being at the heart of changing the familial dynamics can mean triggering projection and transference in families as well as the practitioners who work with them. Being unconscious of what is projection and what is transference and counter transference can put one in harms way. Projection is the inability to see in the self those things which one abhors in others. The projection is quite literally a defence which comes into play to protect the self from awareness of the uncomfortable and often split off parts of the self. Those who project spend a lot of their time blaming and shaming others, this is a powerful pattern of behaviour in alienating parents which can trigger the same in response from the rejected parent. Another form of projection in alienation cases is the ‘fix it’ projection, in which a parent who feels powerless, seeks to elevate the practitioner to the role of fixer. This projection is always risky for the practitioner because if they accept it, their role literally becomes the fixer, which means that if they cannot fix it, they are doomed to denigration and dismissal by the parent for being unable to do so. Working with the ‘fix it’ projection means helping the parent to connect with their own role in the drama and to their own ‘fix it’ power. This is a far healthier route to recovery of children’s relationships with the parent they have split off, but it is one which some rejected parents find it very difficult to follow. Transference is the transferring of feelings about someone onto the practitioner and counter transference is the responses of the practitioner to that. In the transferential relationship it becomes possible to understand the true dynamics at play in the scenario and those defences which were raised, often in childhood, which have configured to bring about the present day situation. In this respect, being capable of working within a transferential space, puts the practitioner right into the liminal space in the parental alienation dynamic, which is both powerful and dangerous all at the same time. That liminal space I refer to is the boundary or threshold between the child’s use of the defence of psychological splitting and integration. Liminal space in parental alienation is the point at which the alienation reaction is reversed and the healthy child re-emerges. To get to that liminal space in any given family, the practitioner has to get a very deep and very close understanding of how the child came to use the defence of psychological splitting in the first place. I call it walking in the woods with the family, in clinical terms it is sifting and evaluating the history of the family to understand how the convergence of behavioural dynamics caused the problem for the child in the first place. What it feels like when we set off on this journey, is a walk into the tangled undergrowth of two dynasties, both with their narratives said and unsaid, both with their fears and anxieties, hopes and dreams, all invested in a child who is now using a defence of psychological splitting. The threshold, the boundary, the liminal space is a place where not many practitioners are willing to go and where none should be going without healing their own inner child first. Here in the clearing, deep in the woods, line up the unhealed children from both sides of the family, ready to fight sometimes, pleading for healing at others, one side more traumatised sometimes, both sides grappling with the present day child’s inexplicable allegiance and dismissal behaviours. Here in this clearing, any child who is unhealed will find themselves pounced upon, persuaded and pushed into side taking. In the liminal space the archetypal battle for family dominance and identity takes place. To assist in the transmogrification of this from trauma to healing, requires a steady hand, a deep focus and a clear trail of breadcrumbs to follow. Any practitioner who does not carry a bag of breadcrumbs made of their own knowledge, healing and self awareness, is not going to find their way out of the woods and is, without doubt, going to succumb to the seductive power of splitting themselves. We are always, still children. And we are nowhere more still children than when we enter into the liminal space with families affected by parental alienation. In doing so we have a duty to ourselves as well as others to be the wounded healer who has healed the wounds of our own childhood drama. In the piece above I speak about a place where no child should have to go. That place is beyond the boundary of generations, across the divisions of relational space and into the palace of demons in which the unhealed ancestors seek to wreak their revenge upon the present day family. That is the place where practitioners go to retrieve the child, to go there without knowledge of self and soul is to place not only the child in danger but the self too. And there is one final place where practitioners work in which unhealed trauma reveals itself. That is the relational space with other practitioners, professionals and those who hold disproportionate power in these trauma filled spaces. Because so many of those who work in this space are not healed and are not aware of their own childhood woundings, the defences are high and are heightened further by the systems in which parental alienation cases are managed. There are many times in my experience, when a case has descended into the cross projection of blame amongst professionals and where personal meets professional in a perfect storm of unhealed childhood trauma. This is the meaning of we are all, always, still children. 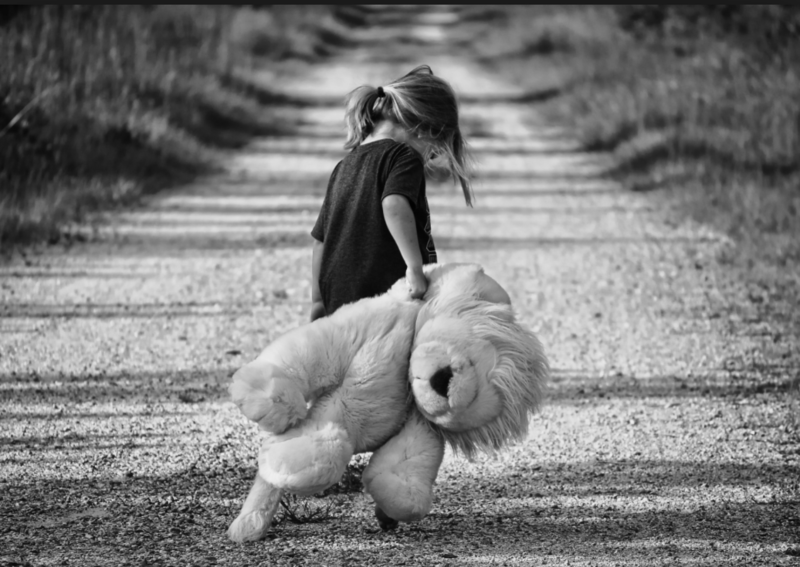 Without attendance to childhood trauma, the neglected child within the legal and mental health professionals will jump out of the box and surprise the unaware practitioner. When you are watching the drama of a parental alienation situation, look for the surprises which jump out of the box. Watch the parent figures and observe their responses and reactions, listen to the words for those things said and unsaid. Anyone who is consumed by their determination to be right and obsessed with destroying the other, is not healed in themselves but reacting to hurt and fear within. That is not passion at play but a deep wound which hides shame. Shame at not being good enough, shame at not being listened to. The playground bully who demands things his own way is always an unhealed child. Playing nicely requires healing on the inside as well as knowledge on the outside. Holding power in the liminal space of parental alienation requires a deep and enduring knowledge of self and the capacity to keep on healing. We are always, still children. Our goal is to heal the self in the present so that the demons in the archetypal family chambers are dispelled. When we do that, peace comes and our work with others grows ever more powerful. The bridge to healing begins with listening to the child within. When the child is healed on the inner, the outside children are assisted to cross the bridge back to health. And then playing in the sandbox becomes fun again. I am a great fan and believer of your work. One thing I and I would imagine a lot of your followers would ask is, if you are the aleinated/targeted parent how will you ever get the alienating parent and thus alienated child all a long for therapy? The alienating parent isn’t going to want to do this because they will obviously say they are not influencing the child and the child is not going to attend thus aligning again with that parent! Is there a solution to this? Karen – for me, this offering dovetails with your recent post ‘Be Still’ ever so neatly.